There are countless variations of classic cross-country ski boots in circulation. The styles range from vintage patent leather shoes designed for use with the 3-pin binding system (NN) and will most likely be found in a thrift store or at a garage sale to high-tech and high-top styles of backcountry boots that feature ankle support and the latest in stink-free insulation materials. In spite of all the options that you can find new or used, however, you really only need to consider three key aspects when selecting a classic cross-country ski boot. And what makes the selection process even easier is that the first two considerations are non-negotiable. Without question, finding a boot that’s comfortable to wear is the most important part of selecting an appropriate classic cross-country ski boot. If the boot you’re testing doesn’t feel comfortable within the first minute or two of trying it on, put it back on the shelf and try another size, style, or brand of boot. Unless you’re looking to purchase a leather combat boot made in 1993, for example, gone are the days of buying footwear with the hopes of “breaking them in.” Sure, you’ll have to get used to any new footwear and there will be some minor adjustments to the way they fit in the long run (i.e. foot beds will compress and the insulation materials will conform to your foot). However, shoe manufacturers today are so meticulous in their design and production of footwear that you’re going to experience very minimal break-in. Most technical footwear (ski boots, hiking boots, running shoes…) is designed to maintain its structure for countless miles of use. This is great for the longevity of the footwear, but means that it’s not going to alter very much over the course of its lifetime. Compare that older combat boot with any type of running shoe or hiking boot today and you’ll notice a major difference in design between the two. The combat boot will look like it was made with one big slab of leather while those hiking boots will incorporate about two dozen different panels and types of materials. And all those seams between the various elements of the footwear are designed to hold. Also note that each manufacturer creates their footwear based on what they believe to be an idealized shape of a foot. You’ve probably already found this to be the case when buying regular shoes. Some brands simply fit different than others. The same goes for classic cross-country ski boots. Along the same lines of companies making boots based on an idealized shape, many companies no longer bother with making boots in different widths. If the boot fits too narrow or wide, try another brand. I lean toward wearing Fischer boots because they are typically considered to be some of the wider boots on the market, and my feet are wide. At my winter job (cross-country ski rental shop) we use SNS Pilot bindings on our regular rental skis. Therefore, we use a Salomon boot for use with those skis. Unfortunately, Salomon footwear generally is too narrow for my feet, so I found a pair of basic classic boots made by Atomic (which run wider than Salomon and still are compatible with SNS Pilot bindings) to wear when I use our rental classic skis. Wearing a thinner or thicker sock can help with boot width issues, but this will only work if the boot is comfortable to begin with and the insulation of the boot is either too plush or not very thick. Different socks won’t compensate for an incompatible (with your foot) shaped boot. As far as how the actual fit of the boot should feel, I always recommend wearing a classic boot that fits snug but isn’t claustrophobic or painful like an alpine skiing boot. You should also have wiggle room for your toes. Your heels shouldn’t lift up. Classic boots are supposed to be soft and flexible enough to allow your feet and ankles to flex naturally, since diagonal striding (classic cross-country skiing technique) requires you to move in a similar way to running. Ultimately, you shouldn’t even notice the boots on your feet because they’re so comfortable. One last note is that if you wear orthotics or other specialized foot beds, be sure they fit in the boot you’re testing out (and that your foot also fits in the boot!). Since most of the binding systems in cross-country skiing are not compatible, you’ll have to find boots that fit comfortably and are compatible with the bindings on the skis you’ll be running. The boots you select need to be compatible with the types of bindings you have on your skis. This is a no-brainer for most people, but it’s not always as obvious or easy to determine as one might think. I’ve met many people who’ve purchased a set of used skis (with bindings already mounted) at a ski swap and then picked up a pair of boots elsewhere only to find out that the two pieces of gear weren’t compatible. Manufacturers of cross-country ski boots have traditionally made their boots compatible with one binding system or another. Fortunately, there’s a trend toward embracing the NNN binding platform (which has been around for decades). However, there are numerous binding systems still in existence (see Cross-Country Skiing Explained (Part 4): Classic Cross-Country Ski Bindings). The reason I wear mostly Fischer boots is because they fit my feet. Therefore, I’ve used NNN bindings on my skis because that’s the type of binding system Fischer has used for a number of years. An example of another boot/binding system is made by Salomon. For many years they’ve designed their own binding system called SNS (Salomon Nordic System) Profil and Pilot (and a ton of variations). Of those two main styles, Pilot boots can work with some Profil bindings (but only some! ), but not the other way around (i.e. Profil boots don’t work with Pilot bindings). 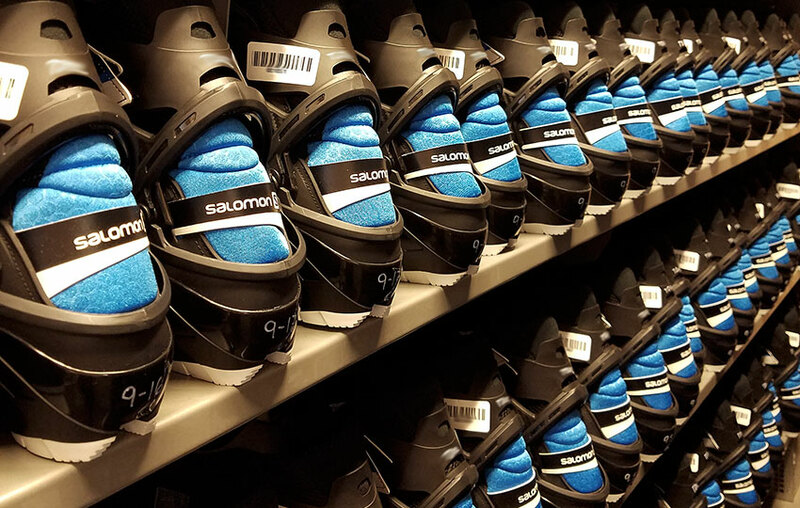 Since 2016, Salomon has been featuring an NNN compatible option known as Salomon ProLink. So, if I wanted to, I could now use ProLink boots with my Fischer NNN bindings. Any NNN boot will work with an NNN binding. Any SNS Pilot boot will work with a Pilot binding. NNN will not work with SNS Profil, and vice versa. SNS Pilot boots will work with some SNS Profil bindings, but test them together first to determine this. One of the gaps or spacers in Profil bindings doesn’t always accommodate the second bar on a Pilot boot. This makes it so that it feels like you have a huge lump beneath the ball of your foot. NNN BC is not compatible with NNN, and vice versa. Function is less of a concern than fit or compatibility when it comes to classic cross-country ski boots. Unless you’re looking for classic boots designed for racing (light and minimal) or you’re planning to do some heavy-duty backcountry cross-country skiing (stout boot with more insulation and support), you can pretty much use any standard touring or classic boot for most situations. The type of boot should be commensurate with the type of ski and binding system. For example, you wouldn’t want to mount a basic NNN binding onto a wide backcountry cross-country ski because you would risk breaking the binding once you apply the force necessary to turn a big ski under backcountry conditions (deep snow and variable terrain). You also wouldn’t want to mount a 3-pin binding on a track ski because the binding would be hanging far off of the edges of the ski. Although 3-pin was the standard for years, it was ultimately found to be too much binding for basic needs and has since been left for use with a bigger backcountry setup. For racing, you want a classic boot that’s as streamlined, lightweight, and as minimal as possible (and requires a basic binding system). A race-oriented classic boot is essentially a track shoe with a built-in gaiter. I find that this is not usually what people are looking for, however. Rather, I see many people seeking a stiffer boot with ankle support. This is usually because so many people come to cross-country skiing from an alpine skiing background and expect boots to be stiff and more supportive. However, classic boots need to be relatively soft and flexible to let your feet and ankles flex naturally (in order to properly perform diagonal striding). I do agree that a boot that offers more support does make descending hills easier, but ultimately you’re not looking to replicate the experience of an alpine ski setup where you’re completely locked into the skis. If you really want more support, develop the small muscles in your feet, ankles, and calves. You could also diversify your downhill skills by learning how to perform Telemark turns and modified parallel turns (versus primarily snowplowing). I do recommend a heavier-duty backcountry cross-country ski boot if you plan to do more off-piste skiing. Although, the ankle support is pretty minimal even with a backcountry-oriented cross-country ski boot. The upper ankle support found on this type of boot usually consists of an arm reaching up from the lower portion of the boot to a point above the ankle with a strap you then wrap around your leg. There’s still a lot of movement allowed with this system, but it is helpful. Also, with a high-top style boot you’ll have more insulation and a higher gaiter that will keep your ankles warm and free of snow. The most important thing when looking for an appropriate classic cross-country ski boot is to make sure it fits comfortably. I realize this can be a chore, however, because there are fewer and fewer shops around that carry Nordic gear. However, I urge you to make the effort to actually find a store and try the boots on before buying because the fit of the boot highly affects your skiing. The bottom line is that if it’s not comfortable, you’re not going to enjoy the skiing. Fortunately, most basic classic cross-country ski boots will suffice for the majority of people’s skiing needs. And once you have that basic boot, you can then start looking for something more specific (if you suffer from gear lust like I do). Bonus points to those of you who noticed that the header pic actually features rows of combination boots (i.e. soft enough for classic skiing, but enough support to skate ski) versus a true or dedicated classic cross-country ski boot. I think combi boots (intended for use in both classic technique and skate skiing) are great cross-country ski boots for beginners. If one later, perhaps after the first season, wants to specialize in either style it might be worth getting dedicated classic or skate skiing boots and, of course, in the latter case special skate skis. I like the idea of a combi boot, but they can run a little more expensive than just a standard classic boot (which may or may not be a deterrent for people to buy new gear). 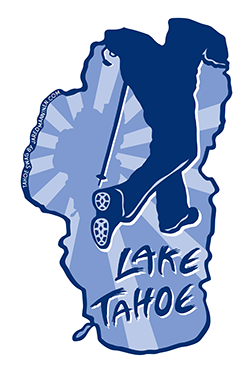 I also meet a lot of people who are interested in learning about cross-country skiing, but don’t necessarily have aspirations of learning to skate ski (yet!). I do think it would be a good idea to include at least a paragraph about a combination boot in this article, though, so thanks again for the feedback!